Editor’s Note: This is the third in a three-part series by VaHi food blogger Denise Romeo spotlighting the ever-popular Virginia-Highland eating establishment, Murphy’s Restaurant, located at 997 Virginia Avenue. Murphy’s is open Monday through Thursday 11:00am – 10:00pm; Friday 11:00am – 11:00pm; Saturday 8:00am – 11:00pm; and, Sunday 8:00am – 10:00pm. Look for conversations with Murphy’s owner Tom Murphy and Chef Ian Winslade in previous issues of The Voice. Photos courtesy of Denise Romeo. Even on an otherwise quiet Tuesday afternoon, Murphy’s wine shop is bustling. Murphy’s Wine Consultants, Michael Kunz and Bob McKechnie, squeezed in a short interview between two meetings and preparations for the evening’s wine tasting. What differentiates Murphy’s wine shop from full-service beverage stores like Green’s or Tower Package? Michael: We view ourselves as wine concierges. We provide one-on-one service to our customers and track preferences and purchases so that we can make recommendations that suit each individual palate. We offer a boutique experience with a filtered selection of 30 or so wines that are traded out seasonally based on price, taste and variety. For example, the wine stewards just removed a large number of hearty reds from the shelves and replaced them with rosés which are seasonally more desirable and go better with dishes on Spring menus. Bob: Because we are part of a restaurant, we can have access to wines that others don’t. We can also order any wine available in Georgia. 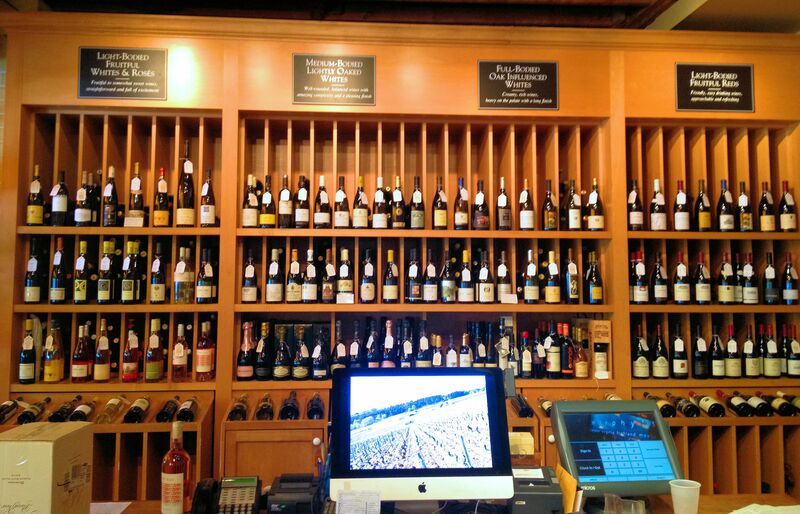 Most of the wines in our wine shop are available by the glass which gives patrons the opportunity to taste a more expensive bottle of wine before committing to a purchase. Are wine pairings with specific menu items critical, or do you find that customers order wines that they prefer instead? Bob: Each season when Chef Winslade updates the seasonal Murphy’s menu, Leslie Johnson, our Beverage Director, pairs wines from the wine shop with items on the menu. However, we do find that most customers tend to order wines they are familiar with and know they like. Michael: The wait staff is very knowledgeable about which wines parallel with menu items for those that ask for specific pairings during their dinner service. 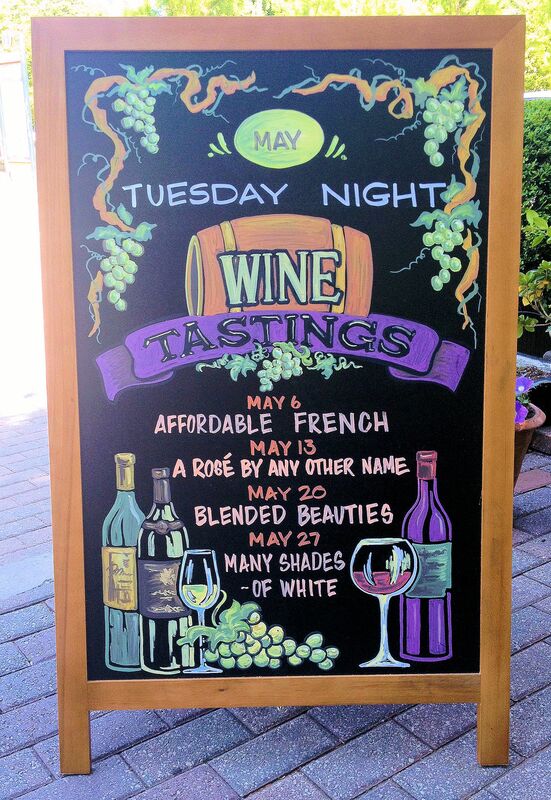 The Murphy’s wine shop has wine tastings each Tuesday. Who should attend these tasting events? Bob: Everyone over the age of 21! Each Tuesday has a different theme, so it is a great chance to try three new wines each week. Michael: Anyone who has an interest in learning a little bit about wines, or just wants to come and hang out and drink a good wine and eat some great Murphy’s food. Our wine tastings can be done either in the wine shop bar or any tables outside the shop. We have folks that come to the tastings for a girls’ night out and baby showers. It’s a great opportunity for neighbors to walk over and have a nice evening and walk home with no cars involved. Bob: Reservations are required though. So folks need to remember to sign up at http://www.murphys-atlanta-restaurant.com/atlanta-wine-tastings before they head over on a Tuesday. Of your current stock, which wine do you feel is the best surprise for the money? Bob: That is such a difficult question to answer, and not because I like them all (which I do), but wine preferences are so subjective and any time you introduce money as a qualifier, it gets challenging. 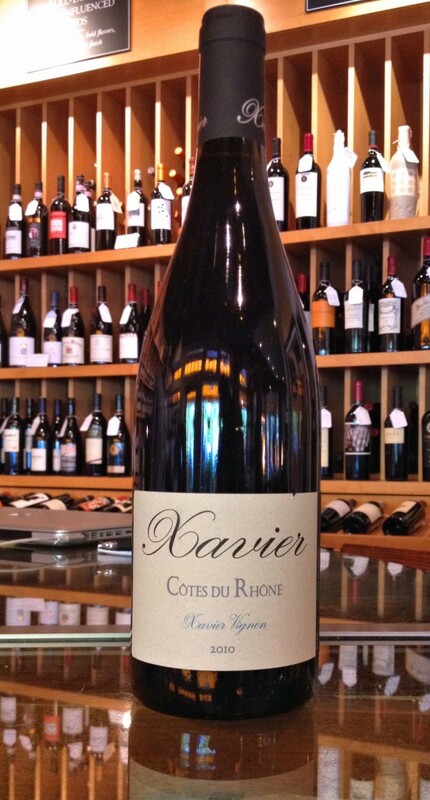 Having said that, the 2010 Xavier Cotes du Rhone for $40 is an exceptional choice. Michael: I agree with Bob. We have a wide variety of amazing wines offered at varying price points. It all depends on the customers’ tastes and budget. The 2010 Xavier is an excellent choice. What else do you want your Virginia-Highland neighbors to know about Murphy’s wine shop? Michael: The wine shop has its own mailing list to inform members of online specials, great offers on new releases, closeouts, and hand-picked standout wines before they ever (sometimes never) hit the shelves. Maybe learn a little, maybe laugh, and hopefully find some great wine. It is a great way to shop for highly-recommended wine without having to leave the house! Bob: We also have a closeout rack in the wine shop with some amazing closeout deals on wines that we only have a few bottles left of. This entry was posted in news and tagged 2014, murphys, wineshop by John Becker. Bookmark the permalink.